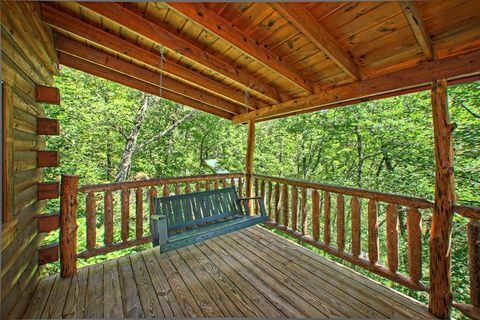 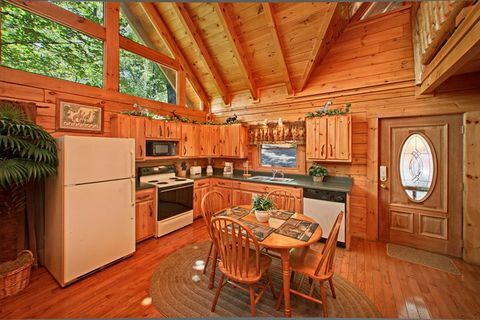 "Jungle Boogie," a private cabin in the Smokies, rests minutes away from attractions in Sky Harbor resort. 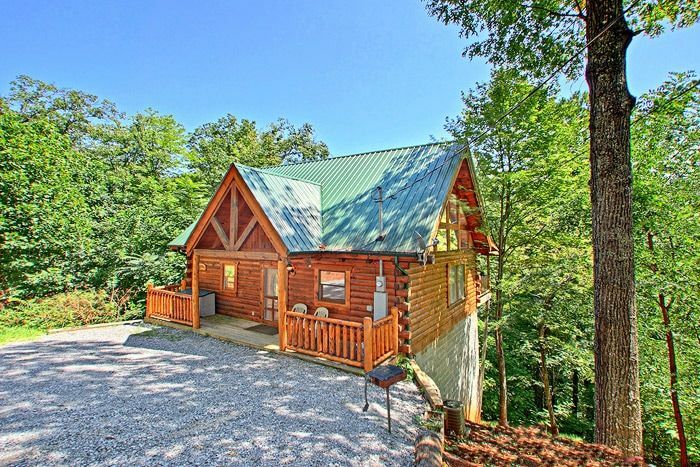 Your 1-bedroom Smoky Mountain private cabin by Pigeon Forge and Gatlinburg gives you the seclusion you desire without taking you far from all the fun offered in both cities. 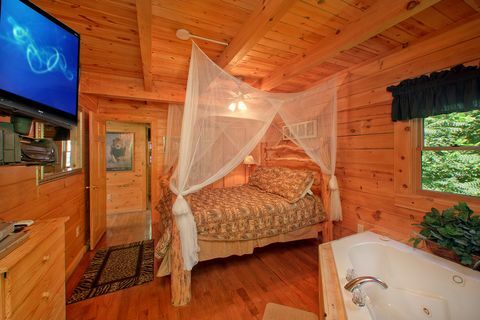 This private cabin in the Smokies rests in a quiet, wooded setting and is filled with tasteful "jungle" decor throughout. 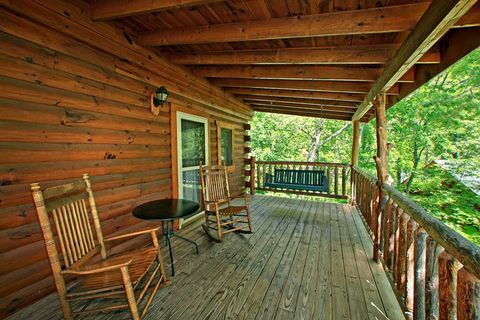 You can relax in the private hot tub or on the porch on the back deck to take in the mountain air. 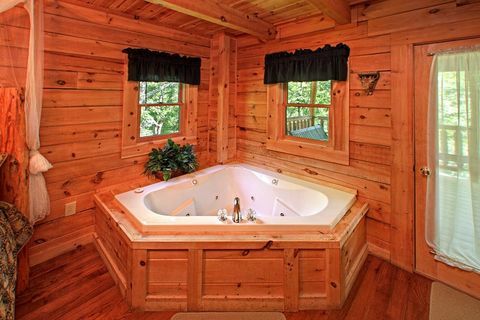 Inside, relax on your master suite's queen-size bed or enjoy a bubble bath for two in the in-room jacuzzi tub. 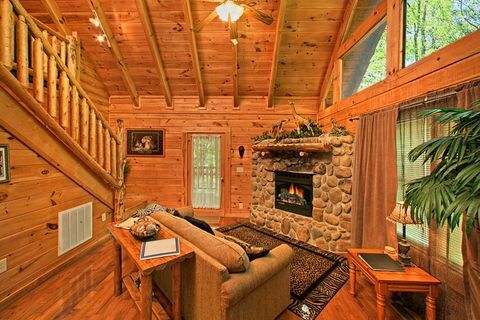 In the winter months, couples can enjoy the romantic glow of the gas log fireplace in the living room while watching one of their favorite films. 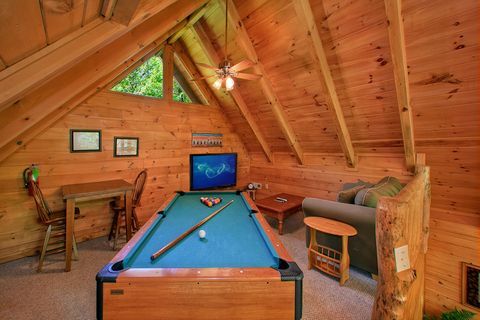 Upstairs, the game room provides hours of entertainment with a pool table and additional television. More than just a Smoky Mountain private cabin by Pigeon Forge and Gatlinburg, this cabin’s location allows for easy access to some of the area’s finest hiking, shopping, horseback riding as well as big attractions like Dollywood, Ripley's Aquarium of the Smokies and so much more! 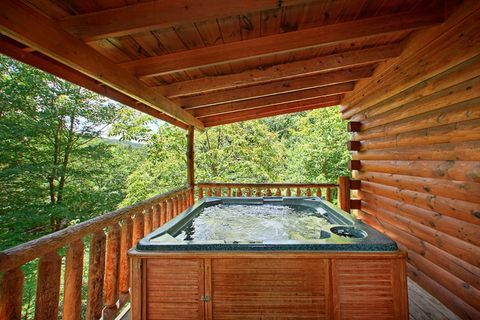 BOOK "Jungle Boogie," your private cabin in the Smokies, or another of our private vacation rentals ONLINE and SAVE with our IMMEDIATE DISCOUNT!